Home steam cleaners come in different models and brands. 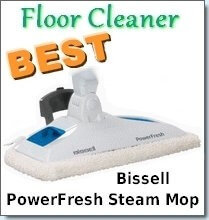 We will cover how to choose a steam cleaner for home. There are many areas within the home that would greatly benefit from home steam cleaning. These include carpets, doors, windows, kitchen utensils, the kitchen floor, bathrooms, grout lines, children toys, even your car! One unlikely use of the steamer could be on the shower. It would easily loosen up grime and soap scum making it easy for you to wipe away. You can even use a steam vacuum cleaner for your carpets. These normally use the hot extraction method where the heated water with a solution is sent deep into the pores of the carpet to loosen dirt. After this is done, the water is then extracted out of the carpet along with all of the dirt leaving behind a wonderfully soft and clean carpet. Sure there are other cleaning machines that are capable of cleaning the above, but for thorough sanitizing that has no negative effects on the environment, a steam cleaner is best. When choosing home steam cleaners, it is important to know the types that are available. Hand held Home Steam Cleaners: These cleaners are very light and portable which makes light interior steam cleaning quite simple. These are great to use when cleaning kids toys, or small fixtures. They are great for spot cleaning. The disadvantage of these types of cleaners is of course the lack of power. You won’t get heavy duty cleaning out of these small machines. Canister Home Steam Cleaners: These cleaners are easily spotted by their “barrel” type shape, usually mounted on wheels for easier portability. Don’t be dismayed by their larger size, since these steamers are among the more powerful that can be used for a wide range of cleaning purposes. 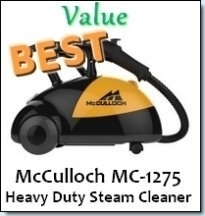 Two such canister cleaners are the McCulloch MC-1275 and the SteamMax SF-275 which fall in the affordable $150 price range. You can use these for any type of cleaning job in the bathroom. You can safely say goodbye to bleach and Lysol! You won’t be needing those toxic chemicals in your home anymore thanks to these steam cleaners. Upright Home Steam Cleaner: These cleaners resemble a light weight vacuum cleaner and with good cause as these are meant to clean the floor. These can be used on carpets, sealed hardwood floors, bare floors and more. 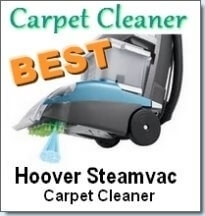 This category also includes steam vacuums, such as the Hoover SteamVac line which are powered by the agitation and extraction method to deeply clean your carpets. When deciding that you want to buy a steamer, it is important to know what you need it for. Do you need one for light cleaning, heavy duty cleaning, occasional or everyday and where you want to clean: floors, carpets or objects and of course your price range. You must answer those questions so that you know what is most important. 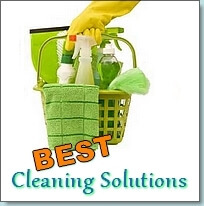 The following features are ones you should consider after you have decided on your cleaning needs. —Size of water tank or boiler. The larger the tank, the more water it can hold and therefore, the more steam is produced for a longer cleaning time. —Length of the cord. The length of the cord determines your ease of cleaning. It can become very annoying to have to keep plugging and unplugging a cleaner because the space you are trying to clean is so huge and the cord is not long enough. —The max temperature. The maximum temperature that the steam cleaner can reach determines the heat of the steam which in turn determines its sanitizing power. The higher the temperature, the greater the cleaning power. —Pressure. The more pressure that can be applied to the steam also determines the cleaning power. Pressure = better and more thorough cleaning, somewhat like a pressure cleaner. If you have heavy duty cleaning needs, you should look for a steamer with a pressure gauge. —Attachments. The types of attachments provided are important as they allow you to concentrate the steam according to what you need to clean. This is very important to consider especially if you are looking for an all purpose cleaner. —Cleaning solution. Most steam cleaners only use water, however many steam carpet cleaners use specially formulated cleaning solutions or detergent. You can of course make your own homemade steam cleaner solution in some cases.